I am not one to define “success” in terms of money and notoriety, so I do not usually spend a lot of time studying and researching people who have achieved either one. However, I could not help but notice an article in the business section of the Sunday, September 16, 2012, edition of the Cincinnati Enquirer. 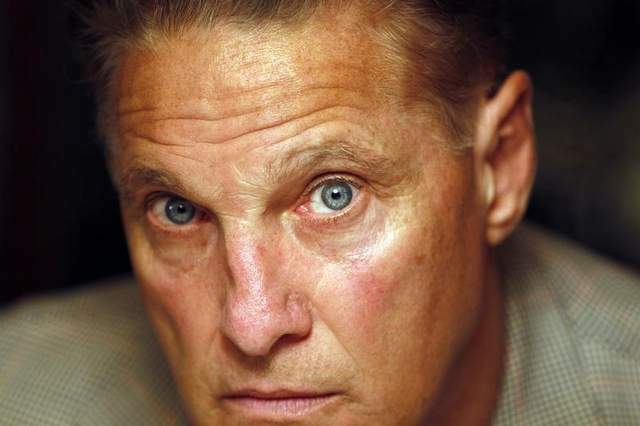 I do not know what caught my attention more–the big, bold letters screaming “IN YOUR FACE” or Jeff Ruby's piercing blue eyes staring back at me. But I will admit Ruby's look alone was daring me to read this article, and I took the dare. What I originally mistaken as a fierce, hard stance that I found intimidating and yes, a little fearful, was actually a stare of passion that swells up in Ruby and is released in a honest, “tell it like it is” expression of his beliefs and convictions. Jeff Ruby is a renowned restaurant entrepreneur in the Cincinnati, Ohio area. However, recently he has become better known as the man that was thrown out of a Joliet, Illinois courtroom during the Drew Peterson trial for yelling out explicit remarks at Peterson. Ruby became passionate about this case as part of his victim's advocacy work that helps people and their families hurting due to hideous, criminal behavior. The majority of the article centers on why and how Ruby became involved with this case and his work to help the victims. Reading this article made me understand what drives this man–Pure Passion. This same passion he shows toward his advocacy work is also the driving force behind the success of his restaurants. What I found notable about all 5 of these is that they focus on the person not the product or service. That tells me that success starts from within–it is the conviction and passion of one's heart; it is recognition and concern for the customer; it is employee confidence; it is freedom of expression and ideas; it is that gut feeling of knowing what is right. 1 Williams, Jason. “In Your Face.” Cincinnati Enquirer [Cincinnati] 16 September 2012, Business: G1-G2.